We partnered with the Los Alamos National Laboratory Community Outreach (LANL CPO) in 2009. We wish to thank them for being the first to support the STEMarts program when it began, as a pilot program at Taos Academy. We later received a LANL Small Grant to run the first of a series of workshops that evolved into what is now the STEM Institute at Taos Academy. In 2013 we again collaborated with LANL CPO to create a unique STEM Challenge in celebration of Los Alamos National Laboratory’s 70th anniversary. The Los Alamos STEM Challenge gave students from Northern New Mexico in grades 6-12 the unique opportunity to envision the next 70 years of discovery at LANL. Students developed 21st century skills as they collaborated in teams to research LANL solutions to real-world challenges. They applied creativity and critical thinking skills as they visualized their own solutions through posters, videos, apps or essays describing potential future projects at LANL. 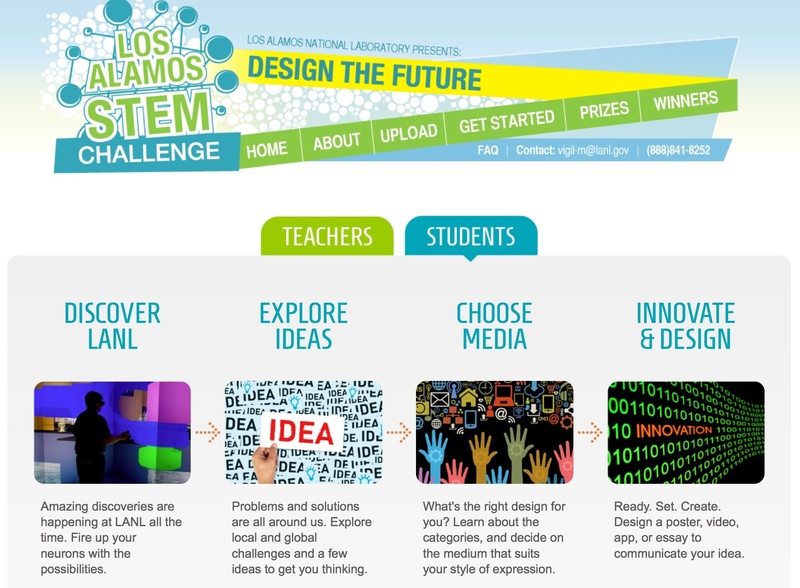 Feel free to use the FREE classroom resources from the Los Alamos STEM Challenge online platform.